Salvatore Ferragamo offers you yet another pair of stylish dress shoes, with these ‘Faraone’ derbies. 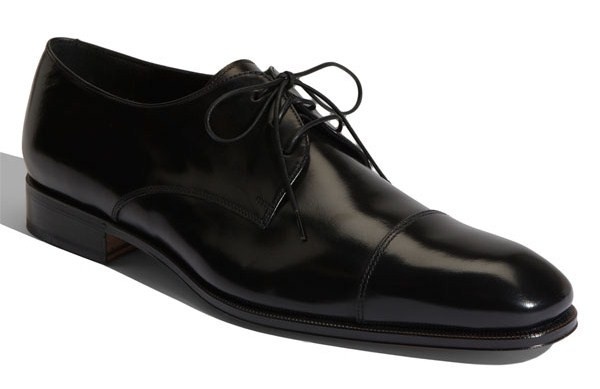 Beautifully polished calfskin fashions a sleek three-eyelet shoe, designed with a seamed toe cap. Made in Italy, the fine leather shoes come in black and brown. Available online. This entry was posted in Footwear and tagged Italy, Salvatore Ferragamo. Bookmark the permalink.